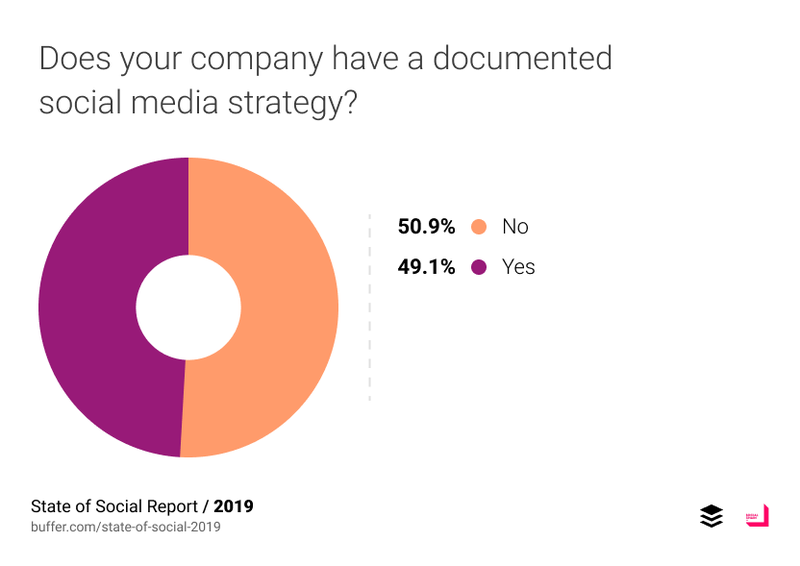 Buffer has released it’s annual “State of Social” report, and it has a lot of insight that is extremely valuable to anyone marketing their business. Read on for the top things to know this year about social media trends. While the responses for ‘Very effective’ and ‘Somewhat effective’ make up the majority, more than 25% of marketers are still uncertain about their results. 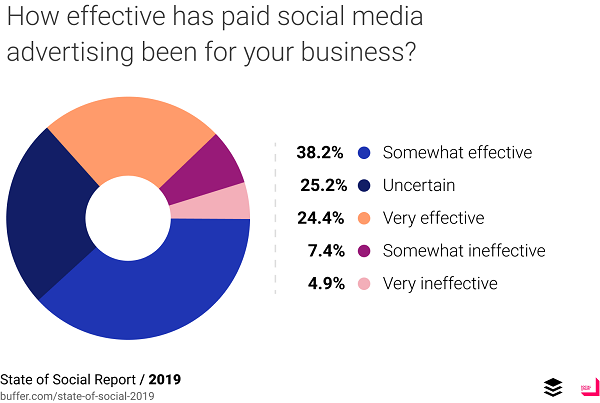 ROI has always been a key pain point in social media marketing, and the responses here show that it’s still a prevalent issue. The platforms themselves are working to provide more on this front, but it may also be up to the businesses themselves to ensure their staff are adequately trained, and have the knowledge to make the most of – and understand – their efforts. 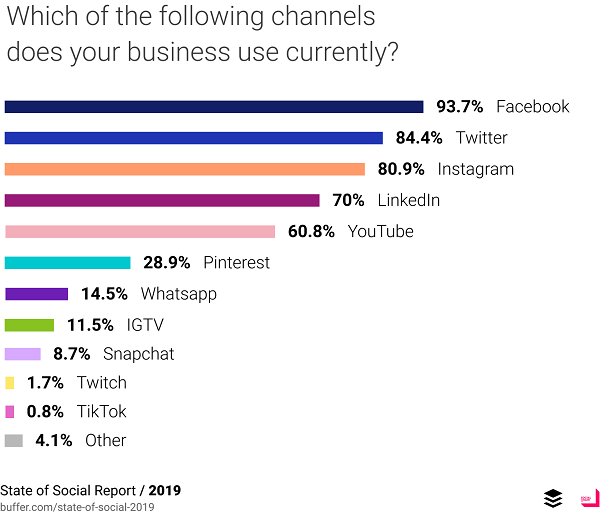 This will come as little surprise, but Buffer’s report shows that Facebook and Twitter are still the most used social media platforms by marketers. But Instagram’s rising fast, and will no doubt get more traction in 2019. 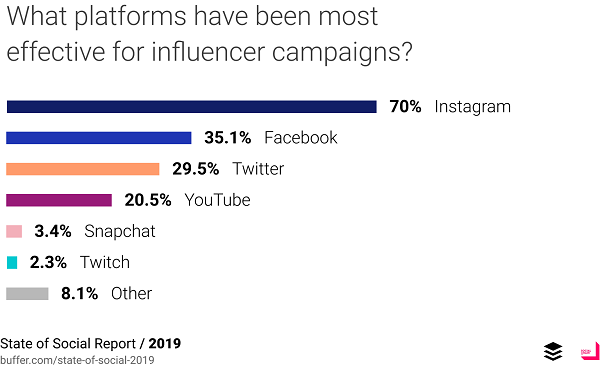 It wouldn’t be surprising to see Instagram overtake Twitter in 2019. Part of Twitter’s issue is that it often takes more time to schedule content for it, because you can tweet more often due to the fast-moving Twitter stream. Yet Twitter, overall, drives only a small amount of referral traffic. As Instagram evolves its tools in this respect, including links in stories and shopping tags, you can bet that it will filter more traffic through to more sites. That is until Facebook cuts it off – which will probably only happen once business have built a reliance on it. 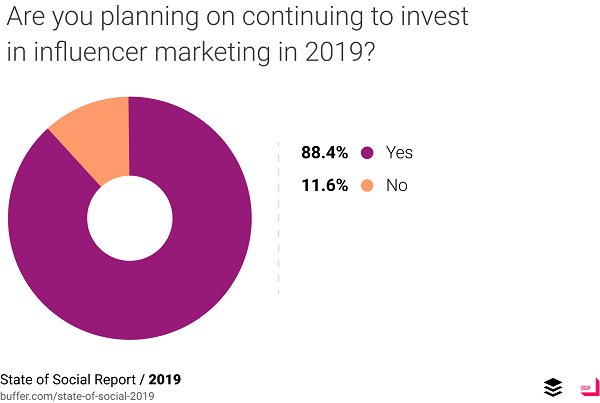 You can expect to see influencer marketing – and micro-influencers – get even more focus in 2019, as businesses look for new ways to maximize reach, while also generating better creative assets for use in their campaigns. How are you planning to use social media this year? Are you part of the group that doesn’t have a strategy? Let us know in the comments!